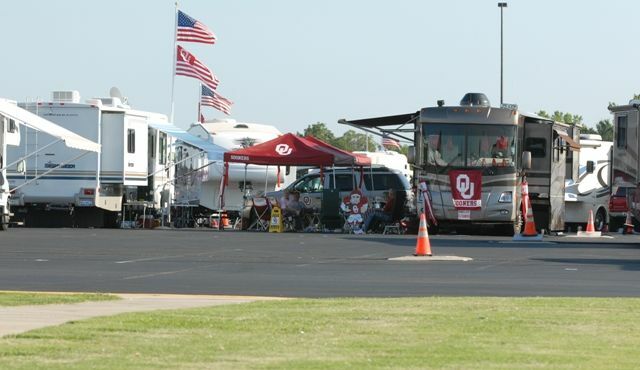 As the University of Oklahoma studies the possibility of bringing Wi-Fi to its football stadium, it has already brought Wi-Fi to a group of dedicated fans: Sooner supporters who park their recreational vehicles in a special lot. Called the SooneRVillage, the designated lot has Wi-Fi coverage to all its 400 spaces, according to David Payne, senior technology strategist for athletics at Oklahoma. “The network works really well – the RV customers are thrilled with it,” said Payne. From an IT perspective, he said, the lot is a sort of experiment in real life as to how Wi-Fi connectivity can make fans happier. “It [the RV network] gave me a platform to show what was possible [to improve] the fan experience,” Payne said. Editor’s note: This story is from our most recent STADIUM TECH REPORT, the 2015 COLLEGE FOOTBALL ISSUE, which is available for free download from our site. Read this story and more about university technology deployments by downloading your copy today! If you’ve been to any big football school that is located in a fairly remote place you know how important RVs are to fans who want to support their team as much as they can. 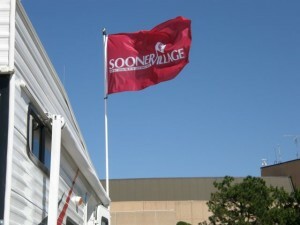 With half its spots offering electrical hook-ups, the SooneRVillage regularly sells out, Payne said, and had done so even before Wi-Fi became available. The cost of the lot is $150 per weekend for an electrical spot and $75 for non-electrical spaces, and season passes can be had for $750 (electric) and $300. 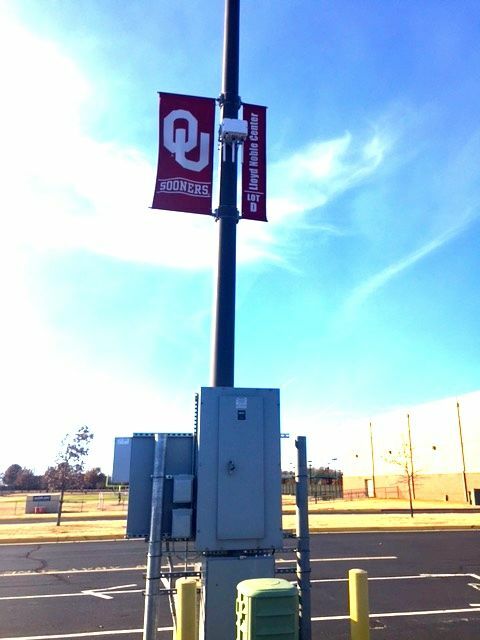 Partnering with AT&T and Wi-Fi deployment firm AmpThink, Oklahoma responded to fan demand in bringing Wi-Fi to the RV lot, Payne said. Though its statistics from Wi-Fi usage this season aren’t fully tallied yet, Payne said through the first four home games the school saw 3,500 unique users register on the Wi-Fi system. With an average of about 2.5 Wi-Fi users per vehicle, Payne guessed that in the near future it won’t be too hard to sell a sponsorship for the service to reach those bandwidth-hungry guests from out of town. “You could sell a sponsorship to an RV dealer, and recoup some of the operating costs,” Payne theorized. 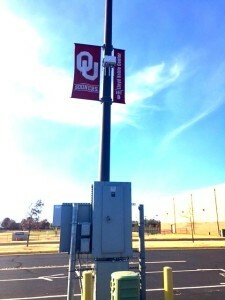 The network, which has about 40 Wi-Fi APs mounted on light poles, faced some unique technical challenges mainly around the power supply, Payne said. The question was, how do you keep power going to the APs when the lights need to be turned off at night? The solution, Payne said, was to use split electrical circuits so that APs could remain powered, and RV occupants could stay connected after dark. And while the RV users at football games were the primary target for the parking lot Wi-Fi network, Payne said the lot has already provided Internet access for several other groups throughout the year. A Renaissance fair held in Norman, he said, uses the same lot (and the Wi-Fi), and the University itself now takes advantage of the Wi-Fi lot (located near the school’s basketball arena) as a centralized staging area for new student check-in procedures. “We used that lot during the first week of school, and [having connectivity] really smoothed out the operations,” Payne said.